Neville Watson's mother was Mary Justina Griffith, the daughter of the rector of Ardley in Oxfordshire. Neville's father was George Wentworth Watson who was a schoolmaster, but is more famous for his work as a genealogist. He played a large role in the publication of The Complete Peerage, a 13-volume database of the British peerage, generally accepted as the greatest British achievement in the field of genealogy. The first edition was published in London between 1887 and 1898. George and Mary Watson had two children, a boy and a girl, the eldest being Neville. Neville was educated at St Paul's School in London where he was very fortunate to have the outstanding teacher of mathematics Francis Macaulay. He mixed with equally outstanding pupils, for Littlewood, less than a year older than Watson, was also a pupil at the school. Having won a scholarship to Trinity College, Cambridge, Watson matriculated there in 1904. At this time there were three young fellows of Trinity all of whom had a major influence on Watson's mathematics. They were Whittaker, Barnes, and Hardy. Perhaps the one from this trio who had the greatest influence on him was Whittaker, despite the fact that he left Cambridge in 1906, two years after Watson began his studies there. 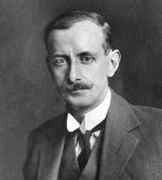 Watson graduated as Senior Wrangler in 1907 (meaning that he was ranked in first position among those who were awarded First Class degrees), completing the Mathematical Tripos in the following year in the second division of the First Class. He won a prestigious Smith's Prize in 1909, becoming a Fellow of Trinity College in 1910. This was particularly pleasing to him for he had a great love of his College, and throughout his life he collected prints of the College and of previous Fellows. After election to his Trinity fellowship, Watson spent four further years in Cambridge before leaving to take up an assistant lectureship in University College, London. From 1918 to 1951 he was Mason Professor of Pure Mathematics at Birmingham. He married Elfrida Gwenfil Lane, the daughter of a farmer from Holbeach in Lincolnshire, in 1925. They had one son. Here one felt was mathematics really happening before one's eyes. ... the older mathematical books were full of mystery and wonder. With Professor Watson we reached the period when the mystery is dispelled though the wonder remains. One piece of work undertaken by Watson deserves special mention. It involves the problem of wireless waves, which were quickly found to travel long distances despite the fact that theoretically they should not have been able to follow the curvature of the Earth. A mathematical model had been constructed where the Earth was represented by a partially conducting sphere surrounded by an infinite dielectric. Such a model had been used by Macdonald, Rayleigh, Poincaré, Sommerfeld and others. Although Watson was not interested in how best to model the situation, he was, however, very interested in using his expertise to determine mathematical solutions to the given model which others might then check against observations. He obtained solutions to the problem in 1918 which showed conclusively that the model was not a satisfactory one. In 1902 Heaviside had predicted that there was an conducting layer in the atmosphere which allowed radio waves to follow the Earth's curvature. This layer in the atmosphere, now called the Heaviside layer, was only a conjecture in 1918 but it was suggested to Watson that, having shown the previous model to be wrong, he now look at the model resulting from the postulated Heaviside layer. Watson showed that if the layer was about 100 km above the Earth's surface and it had a certain conductivity, then indeed the solutions obtained closely matched observations. That Heaviside, and Watson, were correct was confirmed in 1923 when the existence of the layer was proved experimentally when radio pulses were transmitted vertically upward and the returning pulses from the reflecting layer were received. Watson undertook a major project by examining in detail Ramanujan's notebooks, extending his results and supplying proofs. In fact he wrote twenty-five papers relating to results in Ramanujan's notebooks, and he spent many hours making a hand written copy in wonderful script of all the notebooks. He enjoyed numerical calculations and spent many happy hours doing numerical work on his calculating machine. ... in recognition of his distinguished contributions to pure mathematics in the field of mathematical analysis and in particular for his work on asymptotic expansion and on general transforms. Watson was also very active in his support for the London Mathematical Society. He served as secretary from 1919 to 1933, president from 1933 to 1935 and acted as an editor of the Proceedings of the London Mathematical Society until 1946. The Society awarded him their De Morgan Medal in 1947. The Royal Society of Edinburgh elected him to an honorary fellowship. He was the university's expert on the timetable; students with unusual combinations of subjects usually had to be referred to him for advice, and for many years after his retirement the dates of the academic year were governed by the "Watsonian cycle". ... He took great trouble with the style of his letters and his conversation and enjoyed finding a pungent phrase to express his points of view or his criticism ... he made no secret of his aversion to cars, telephones, and fountain pens. He loved trains - whose timetables were as familiar to him as those of the university lectures - and unusual stamps.